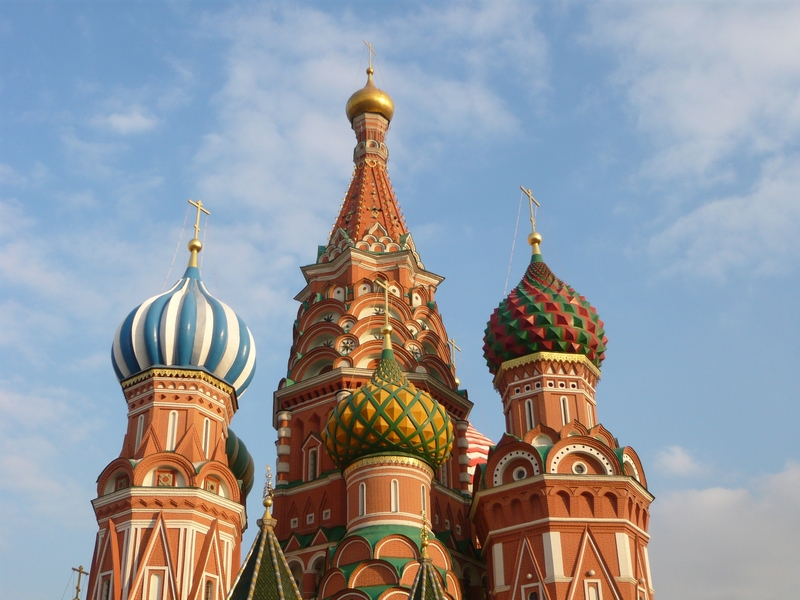 GAUFRETTE & FIESTA on the bank of the Moskova river, with the Kremlin at the back… Many thanks to Alexander who did these pictures by -20° celsisus. Un grand merci à Alexandre pour avoir réalisé ces photos par -20°. 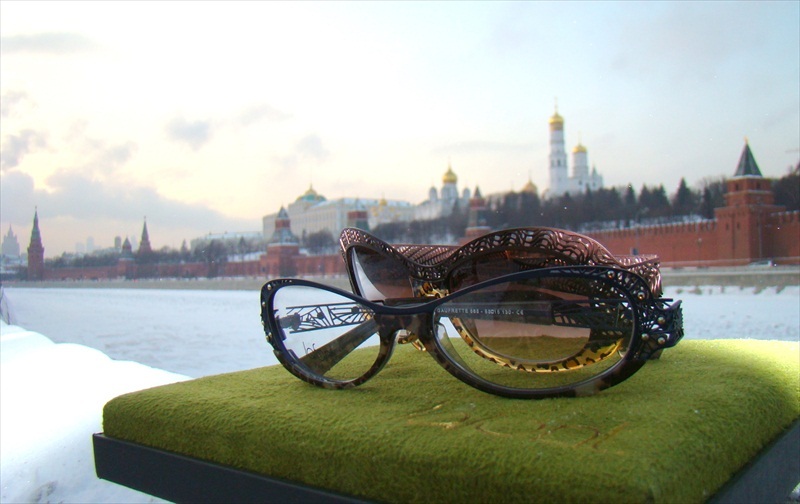 The spring / summer 2011, « Femme Toujours » collection, has been presented in Russia at the Moscow optical fair in February. в Международном Выставочном Центре «Крокус Экскпо». au Centre d’Exposition International Crocus Expo. Afin de présenter notre collection Printemps // Eté 2010 à nos clients Russes. 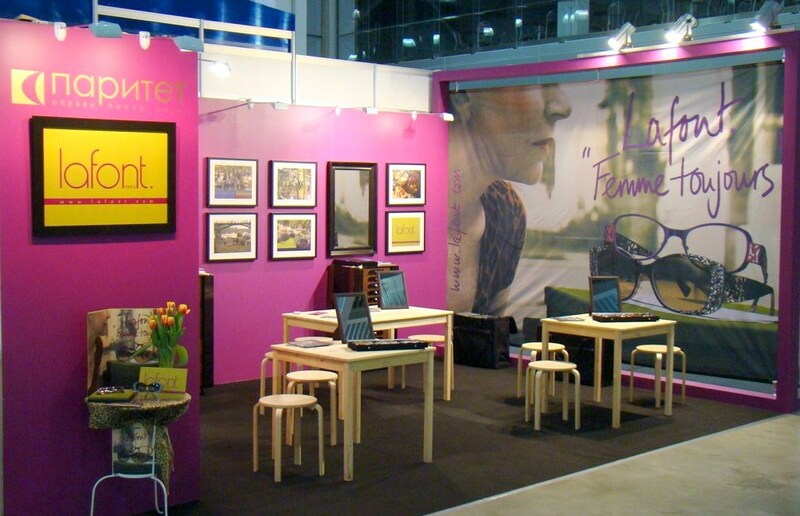 We were exhibiting on the Moscow Expo at the end of February in order to show to our Russians customers our Spring / Summer 2010 collection. Notre cliente de Moscou, Optika n°9, avec Aleksandr Ignatov, Paritet. Nos clientes de Samara, Lunette Optika, avec Aleksandr m. Belkov, Paritet, et Georges Guibert, responsable marché Russe pour Lafont.